YPSA arranged a project inception meeting of Proyash Phase II (an Urban Risk Reduction Project) at the K.B. Abdus Sattar Conference room of Chattogram City Corporation on 4th October 2018. City Mayor A.Z.M. Nasir Uddin was present as chief guest while Chief Executive Officer, Chattogram City Corporation Md. Shamsudoha presided over the meeting. Md. 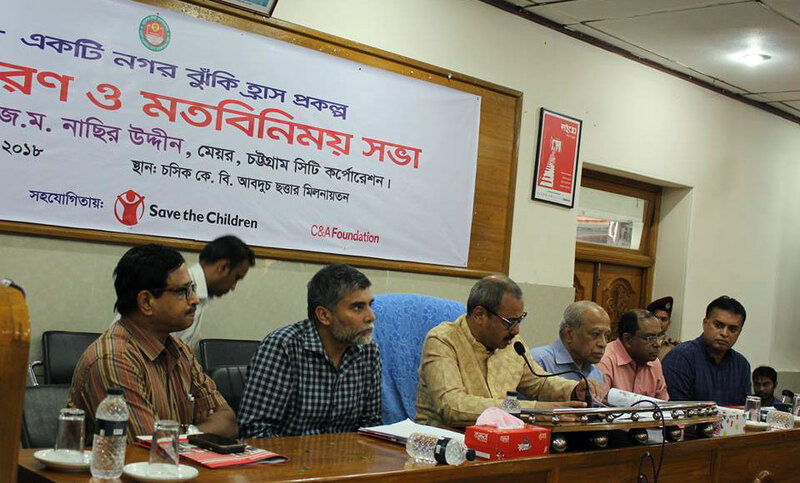 Arifur Rahman, Chief Executive, YPSA; Chief City Planner of corporation A.K.M Rezaul Karim; Professor Dr. A.Q.M Serajul Islam, Chittagong Medical College; Rifat Bin Sattar, Director-Program Development and Quality (PDQ), Save The Children were present as special guests. 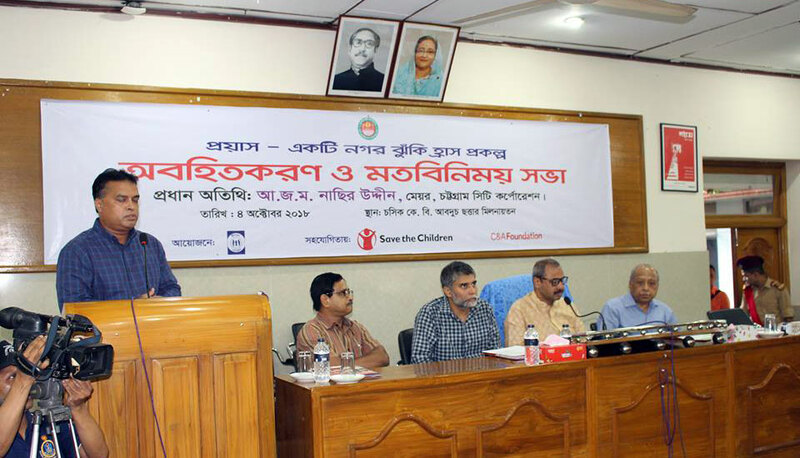 City mayor of Chattogram AZM Nasir Uddin acknowledged the disaster situation in Chittagong and said that the situation arising in the context of unplanned urbanization of long periods and that cannot be solved overnight. Nevertheless, in order to prevent water logging and overcome the death caused by landslides, many works have already been completed. You will see the benefits of massive works being done in the city at large. The mayor hoped that the YPSA’s program will be implemented in every ward and assured that he will provide all sorts of cooperation. Special guests appreciated the activities of YPSA and its project and provided different types of suggestions. 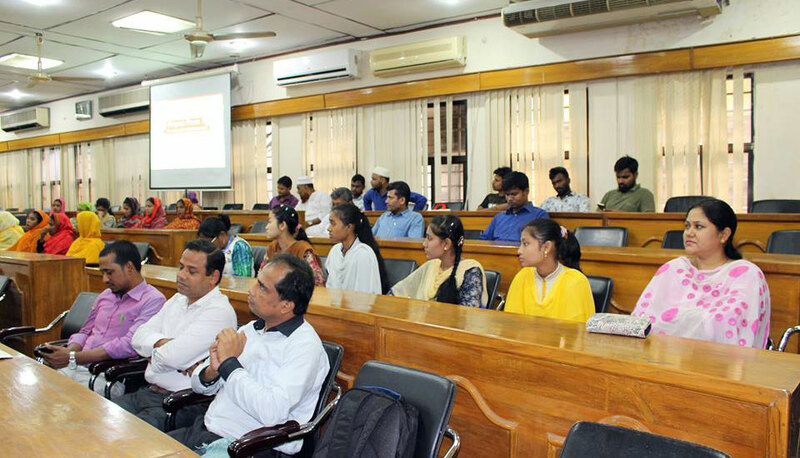 Among others, Councilor Gias Uddin, Abul Hashem, Nazmul Haque Duke, Mobarak Ali, Yasin Chowdhury Azee, Tarek Suleman Selim, Abd Whose Law, Jasmine Parvin jesi, Monowara Moni Begum, Farzana Parveen and YPSA’s Director (Social Development) Mahabubur Rahman participated in the function. Focal Person and Deputy Director of the project, Nasim Banu Shyamoli presented a multimedia presentation on the project. 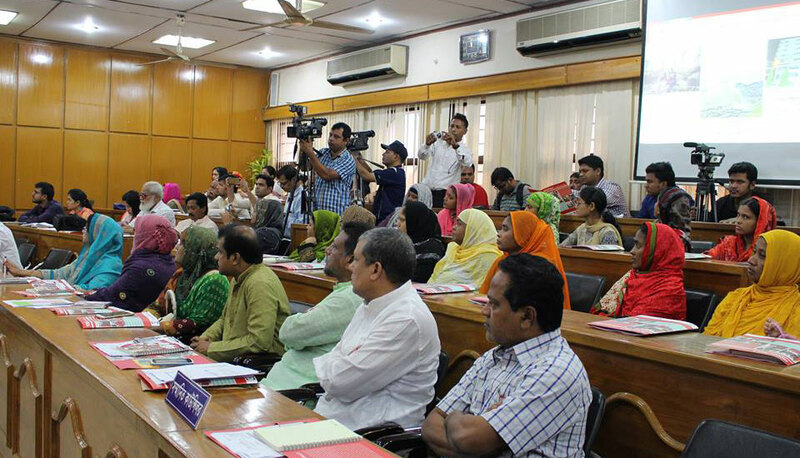 YPSA will implement Proyash Phase-2 project in the city in coordination with the Disaster Management Committee of Chattogram City Corporation, Bangladesh Fire Service and Civil Defense and the District Administration. It should be noted here that since 1985, YPSA has been working on education, human rights, good governance, economic empowerment, elimination of social discrimination, environment, climate change and disaster management.